There are over 200 charming gardens and parks in St Petersburg that give a final touch to the atmosphere, looks and soul of the Northern Capital of Russia. That's why the city is considered one of the greenest Russian cities. But these parks are not there just to please the eye; each and every one of them serves also as a recreational oasis providing diverse activities for locals and visitors. 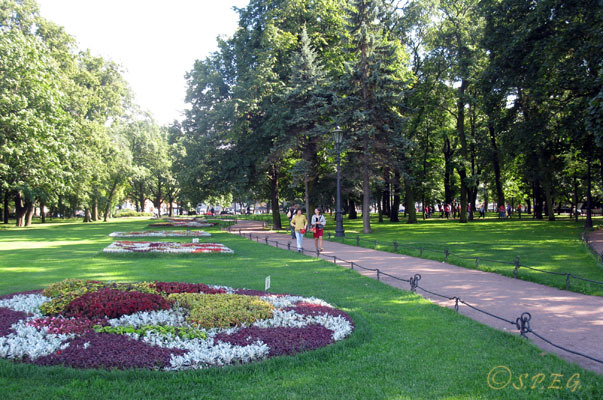 To find a park or a garden is not difficult in Saint Petersburg as there are many. In any of them you can breathe fresh air, enjoy decorative art sculptures or relax. Some are more popular, others are less, but overall they all are worth a visit. 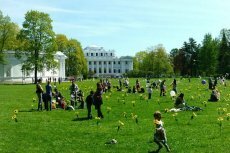 Among the most popular there are the Summer Garden (the first park to be built in the city by Peter the Great), the Michael Garden, the Tauride Garden, and the Field of Mars. 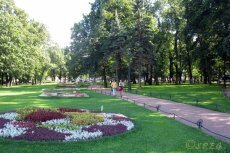 All of them are located right in the city center, but if we move out in the suburbs of the city you can also admire other beautiful parks, such as Peterhof or Tsarskoye Selo complex parks. Of course there are other fascinating parks to discover where you can take a stroll and chill out. For instance, there is the Central Park of Culture and Leisure on Yelagin Island, the Maritime Victory Park on Krestovsky Island or the Moscow Victory Park in the south of the city, including our favorite one, Sosnovka Park, where since the past years we run our informal bike tour. 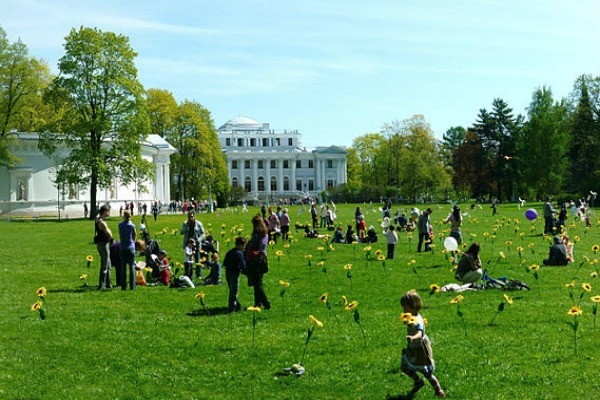 The best time to visit a park or a garden is during the Summer when the Weather in St Petersburg is warm and sunny. But if you are one of those travelers who doesn't mind the cold and love walking on the snow or sliding on ice in the park, then the Winter can be also a good time to visit these parks, but not as much pleasant as in the Summer time. With so many gardens and parks in St Petersburg to see, it can be hard for you to visit all of them or know which one to go, especially if you are a first time traveler. 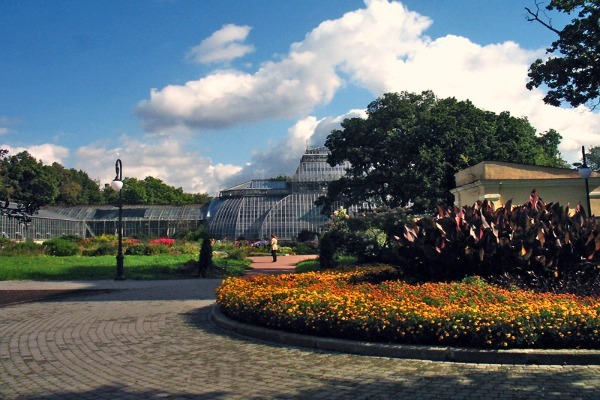 So to help you choose, we've made a list of gardens and parks that are worth going. See below! With its marble sculptures, lining flowers, tall trees, fountains and ponds, the Summer Garden is a masterpiece of early Russian Baroque style and the finest landmark in St Petersburg. As the oldest and one of the most famous parks in St Petersburg, this place is a must-see for all those wishing to feel the city's Petrene atmosphere. If you go, make sure you visit the Summer Palace. The Field of Mars is one of the most beautiful and architectural parks in the heart of the city that you can't miss. The eternal flame of the Monument to the Fallen Fighters of the Revolution and gardens of flowers will definitely catch your attention. Once a place for military parades, popular festivities and military drills, today a burial site for the soldiers killed during the Russian Revolution in 1917. Named after Tsar Alexander II and built on one of St Petersburg’s first boulevards, Alexander Garden is a wonderful and well preserved park that was a fashionable place to meet among the Petersburg aristocracy and Russian writers of the past. Today, the park offers the same atmosphere as it did in the past, and is a nice place to enjoy a relaxing stroll. Offering a unique combination of two styles of landscape gardening - French formalism and English landscape, the Mikhaylovskiy Garden is one of the most elegant and pleasant gardens in the city. Located near the famous Church of the Savior on the Spilled Blood, this is one of the parks in St Petersburg which demonstrates the landscape architecture of the 18th and early 19th centuries. 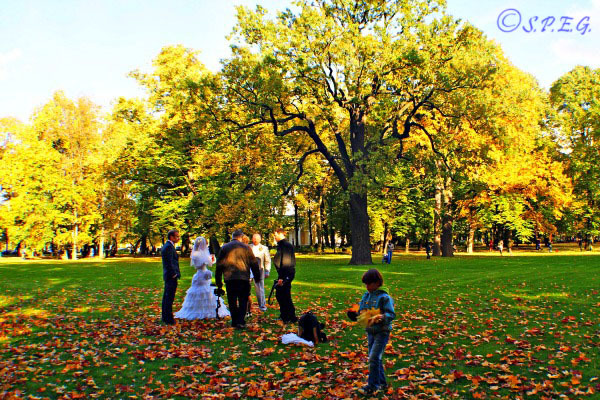 Built by the famous Italian architect Carlo Rossi as part of the Ostrovskiy Square complex, the small Catherine Garden, which is located on Nevsky Prospekt, is now one of the most popular spots among young people and very busy with tourists. Inside this small park stands an impressive monument to Catherine the Great, and just behind, the oldest National Alexandrinsky Theater. Built in 1789, the Tauride Garden is a beautifully landscaped garden covering a vast green area with a meandering history. The park is located behind the Tauride Palace, from which it took its name. 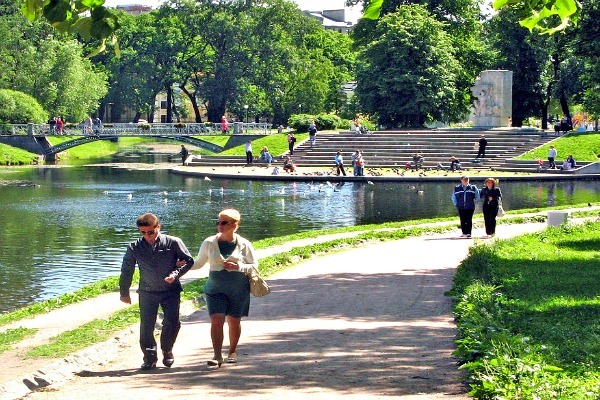 Designed in true Romantic style to imitate nature, with ponds and canals and a nice rolling landscape, today the park is considered one of the most picturesque parks in St Petersburg where anyone can enjoy a stroll. Founded in 1945 to remember the suffering of Leningrad residents and the victory of Russia in World War II over the Nazis, the Moscow Victory Park is another beautiful, but moving park to see. 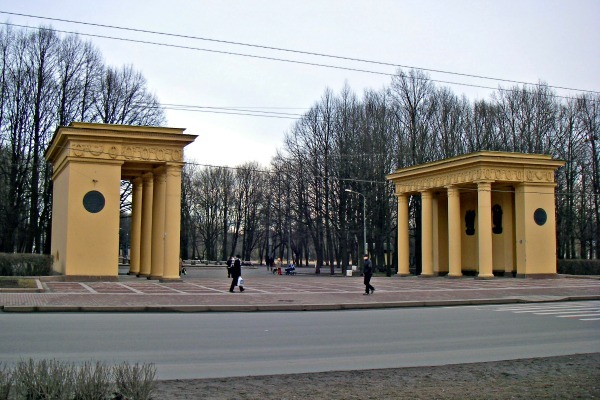 The best part of the park is the so-called Avenue of Heroes, a main alley which is lined by outstanding flower gardens and bronze statues of people twice awarded the titles of "Hero of the Soviet Union" and "Hero of Socialist Labor". Situated on Krestovsky Island, one of the most popular and fun islands in the city, you can find the Maritime Victory Park. A place home to several attractions, night clubs, restaurants, amusements and even a nice little beach which gets pretty busy in summer. Opened in 1945 to commemorate the victory over Nazi Germany in World War II, the park is also a place to take a romantic stroll, ride a bike or go skating. The Kirov Central Culture and Leisure Park is a beautiful Neoclassical park created in 1932 on Yelagin Island. 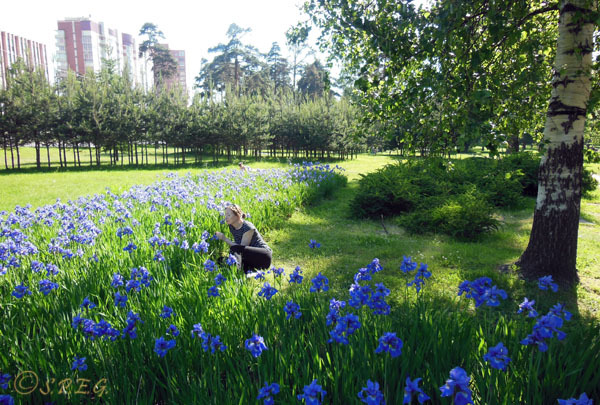 Surrounded by fields and woodland, this park was once one of the favorite places of the Tsars. Today it has become the best spot for locals, who come here to spend their free time relaxing with family, kids and friends. Located on the Petrograd Side, the Botanical Garden is the oldest botanical garden in Russia, and now a branch of the Russian Academy of Sciences in St Petersburg. Also known as the Botanic Gardens of the Komarov Botanical Institute, this is the right place to come if you love palms, bamboo, conifers, orchids or other unusual plants. 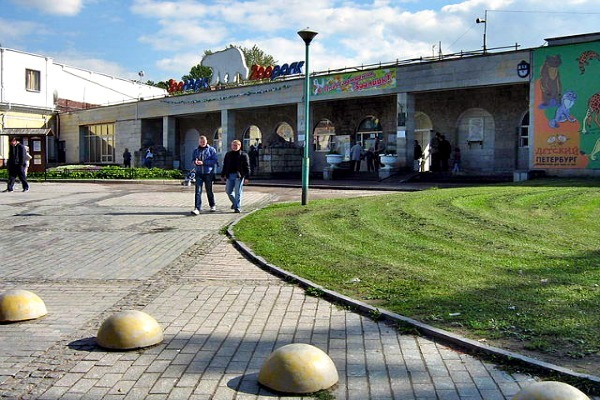 Founded in 1865 by two animal lovers – Sofia and Julius Gerhardt, the Leningrad Zoo is considered one of the oldest zoos in the world and the second largest zoo in Russia with 2,000 animals from 410 species. If you like visiting zoos and you are exploring Petrograd Side, then why not plan a visit here and say hello to the Polar bears and giraffes. Your kids will love it! Sosnovka Park, is not only the biggest and greenest park in the city, but also one of our favorite parks in St Petersburg. Once an important airport base of the 150th Fighter Regiment during the WWII, today it is a popular and nice place to hang out for many locals living on the north side of the city, including us. If you want to feel like you are in the middle of a forest, and you love walking, or riding a bike, or eating out while surrounded by tall trees, squirrels and stunning garden flowers, then a visit to this park is a must. From Parks in St Petersburg return to St Petersburg Attractions or go to the Homepage. 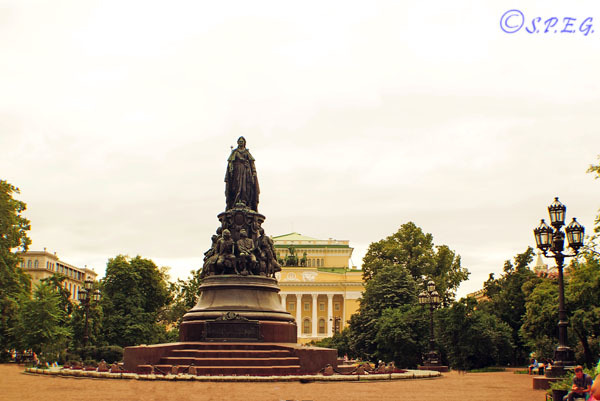 Would you like to visit one of the gardens and parks in St Petersburg listed on this page?